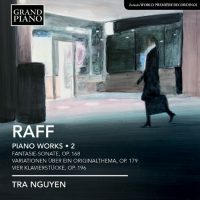 British-Vietnamese pianist Tra Nguyen’s performances have been praised as “coruscating” (The Independent), “sophisticated” (Rheinpfalz-Zeitung) and possessing “surpassing keyboard artistry and passion” (American Record Guide). 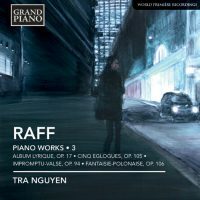 Her recent recordings on Sterling Records and Grand Piano Naxos have been chosen as Album of the week by The Independent, in March 2010 and in April 2012. Tra’s imaginative programming balances core repertoire and lesser-known music. 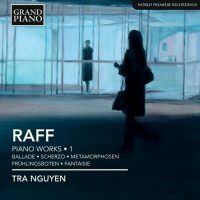 She worked with Sterling Records to produce premiere recordings of music for piano and orchestra by Joachim Raff. The most recent chamber music CD with clarinetist Sabine Grofmeier has been released on ARS Produktion, featuring works of the German romantics and their contemporaries. 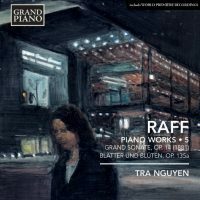 2013/2014 will see further releases of her critically acclaimed recording series of Joachim Raff’s piano music on Grand Piano (Naxos group). 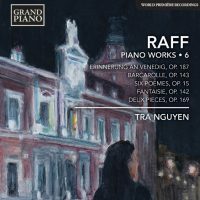 Tra gave her first performance at the Hanoi Opera House when she was ten and has continued to engage audiences in other prestigious venues worldwide (Queen Elizabeth Hall, Wigmore Hall, the Kennedy Center and Tokyo Opera City amongst others). 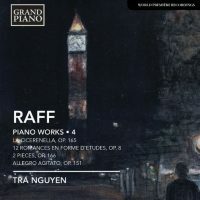 Tra Nguyen studied with Lev Naumov in Moscow Conservatory and with Christopher Elton at the Royal Academy of Music, London.